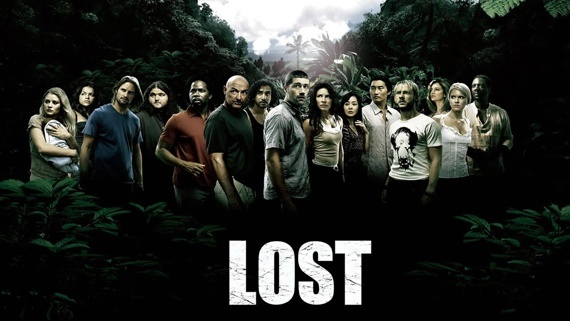 Lost Season 2: "What Kate Did"
Now we know what Kate did: why she was a prisoner on the flight, why she keeps running, and why she doesn't really want them to be found. She's on the run for killing her father, but it's not just guilt that drives her. It's that even though her dad is dead, she hasn't truly escaped him. She sees him in herself, but she can never truly be free of herself. Or can she? Once again, the island seems to be a purgatory of sorts, forcing those on it to face their past so they can move on with life. She has her own "vision" of a horse, much like Sawyer's pig in Season 1, that provides a personification of the issue she must face. Much like Jack though, who sees his father on the island, this vision is a horse Kate saw before the island, leading her to believe she is going crazy. Is the island some sort of purgatory, and does everyone on the island have a battle to face? If so, how does it correlate to the rest of the world, and where does it derive its power? Or, since they did all barely survive a plane crash, is this island some sort of hell? Are they still alive? If they aren't, I don't expect to find out for at least several seasons, so until then I'll just go with what I have… Either way, it seems like a good thing that they are forced to work through their issues! Also, Locke and Eko's relationship is beginning to form, although I'm not sure Locke really trusts Eko yet, or if their beliefs will allow for that. Either way, between the two of them they are able to piece more of the film together and find that they should not be using the computer in the bunker to communicate with the outside world, which of course starts communicating with Michael. We shall see where this goes!